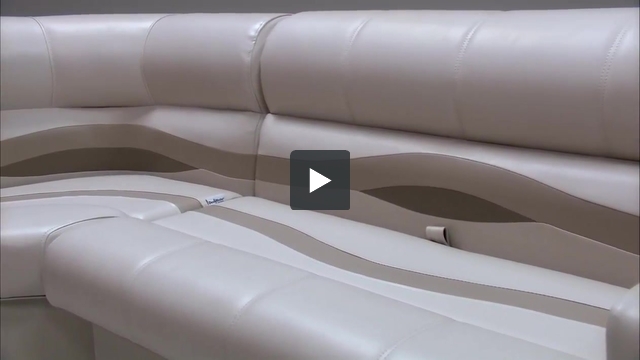 These pontoon boat seats make up our Premium PG1780 pontoon furniture set. Can you cut holes for speakers? If I order set PG 1780, what would my total cost be shipped to Smithville Tennessee? And how long would it take for me to actually receive it from the time I order? If you order the Pontoon Boat Seats before 4pm EST they would ship out the same day. We do not charge for shipping for items over $50.00 and no sales tax for customers located outside of Indiana. 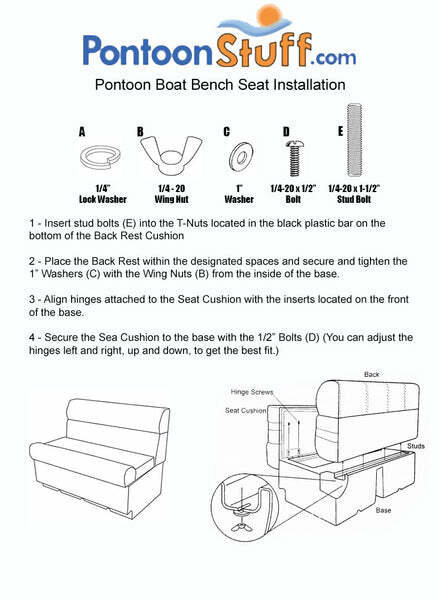 If you order these Pontoon Boat Seats before 4pm EST that will ship the same day. It depends where the Pontoon Boat Seats are being sent. The max amount of business days would be 5 which is california anywhere else should be sooner than that. Unfortunately we don't just sell replacement pontoon seat cushions unless they are used specifically on our bases. If you have our pontoon furniture we can replace the cushions (at no cost to you) but since our seats are built custom for our bases they are not universal and therefore will not fit on anyone else's plastic base. This is a very common question and it is always less expensive to simply replace all your seating rather than try to have new cushions custom-made for your bases. I have an 05 Harris 24’ cruise, do you offer exact replacement seats for the front 2 lounge seats ? No, we make our own seats. We consider them to be universal and matching the measurements would be the best way to replace seats with us. These are not designed to be used as toilets. You will need to purchase our Seat Vinyl. We offer this at the running yard and 54" wide. Our first pontoon we used (gray/ blue premium seats). This one we were hoping for (gray/red seats), but you don't have them in premium. Can you make (gray/red) in premium? Unfortunately, no. These Pontoon Boat Seats are mass produced with the color combinations that are listed in the Premium and Classic Lines.